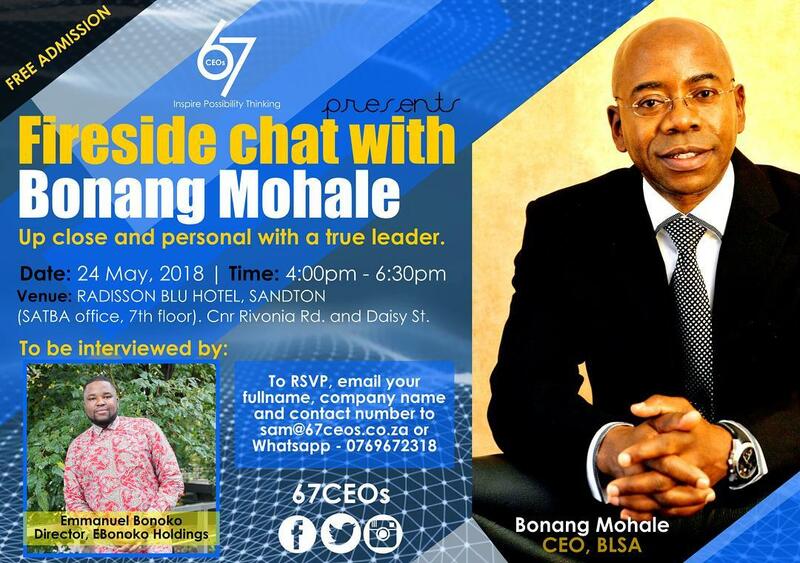 CEOs is proud to host Mr Bonang Mohale in a fireside chat discussion, this event is organised to honour and celebrate the life of a true leader. Mr Bonang will share in-depth insights into his successful personal and business leadership journey. Venue: RADISSON BLU HOTEL, SANDTON, (SATBA office, 7th floor). Cnr Rivonia Rd. and Daisy St.